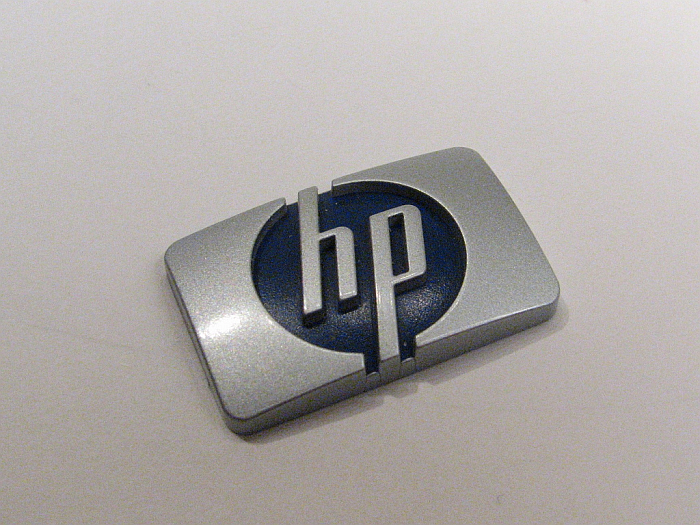 > Old News > HP Splits Up: Now What? Power Supply Certification, What Does It All Mean?When Is Using Powerline Adapters in a Business Setting a Good Idea? HP Splits Up: Now What? Tech giant Hewlett-Packard (H-P) is breaking in two. The official announcement came as expected today–Monday, October 6—after reports of the split surfaced Sunday in the Wall Street Journal. One part of the company will focus on consumer-market PCs and printers (HP Inc.), with the other dedicated to enterprise networking and data storage equipment and services (Hewlett-Packard Enterprise). H-P CEO Meg Whitman will remain at the helm of both factions; she is slated to be chairman of the PC and printer operation, while staying on as CEO on the enterprise data center and networking side. The past several years have seen tumultuous shifting and restructuring at H-P amid stagnating revenues for PCs and printers, and dubious acquisitions in the enterprise computing realm—most notably, the $11.7 billion purchase of the UK big data solution company Autonomy. Critics called this a “botched attempt” for H-P to position itself as a player in the emerging enterprise data storage and networking market, and opened the door for Whitman’s entrance and subsequent five-year plan to restructure the company. It was after this move that then-CEO Leo Apotheker first floated the idea of separating the PC and enterprise units in 2011. Over the course of the next two months, the backlash from shareholders cost Apotheker his job, leaving his successor Meg Whitman to pick up the pieces and pledging to keep both units under one roof. A year into her CEO tenure, Whitman conjoined the PC unit with the more-profitable printer operation as PC revenues continued to tank at H-P, and throughout most of the industry. Recently, however, things started looking up for the PC division, with three consecutive quarters of double-digit growth. The H-P executive heading the PC division under Whitman during this time of growth, Dion Weisler, will serve as CEO of HP, Inc., the PC arm of the company. Meanwhile, on the enterprise side, H-P continued making purchases that strive to position the company as a leader in public and private cloud computing. Just recently, H-P purchased Eucalyptus Systems, a business that builds open source programming for creating private clouds compatible with Amazon Web Services’ public cloud infrastructure. The purchase rounded out H-P’s budding portfolio of OpenStack® cloud solutions, which it launched in May as HP Helion. With the consumer PC revenues trending up, and the cloud solution purchases in place on the enterprise side, Whitman sensed the opportunity to split the 75-year-old company. Even though during her tenure she has been staunch in her messaging about the need to keep the company together. Whitman’s stated she wished to “more aggressively go after the opportunities created by a rapidly changing market,” thus split up the company to pursue that angle. HP Inc. and Hewlett-Packard Enterprise have about the same revenue, each pulling in $50 billion annually. According to WSJ, HP Inc will be milked for cash, its returns earmarked for shareholders. The enterprise company will be operated for growth through investments and outside acquisitions. H-P said it will lay off 5,000 workers as part of the restructuring. According to HP’s investor presentation the day of the announcement, the new planned layoffs boost the company’s total planned layoffs to 55,000—up from earlier estimates of 45,000 to 50,000 cuts. Such breakups and spinoffs have become common practice among tech companies, fueled by the thinking that companies with a narrower focus tend to perform better. Last week, it was PayPal breaking from eBay, citing the need for agility in the face of competition from Apple Pay. Microsoft has been engaged in serious downsizing operations as well. Shareholders have responded positively to the split-ups and downsizing activities. 1. How will the Hewlett-Packard Enterprise fare against an established public cloud provider like Amazon Web Services, who has a competitive advantage wherein its capital costs are necessary to run its e-commerce operation? 2. Will the emergence of software-defined networking in the next few years squash the demand for private cloud hardware? 3. Can HP Inc. keep pace with Lenovo, who eclipsed the company in PC sales this year? 4. Do you see Whitman selling off or merging the PC operation with another company? 5. Will this move re-kindle merger talks with storage giant EMC? Let us know what you think about the HP split in the comments section below. I’ll give you 6:1 they sell the pc/printer operation within 18 months. Interesting tidbit… HP paired their PC division with their Printer division because their healthy Printer division offsets the losses from their ailing PC division.